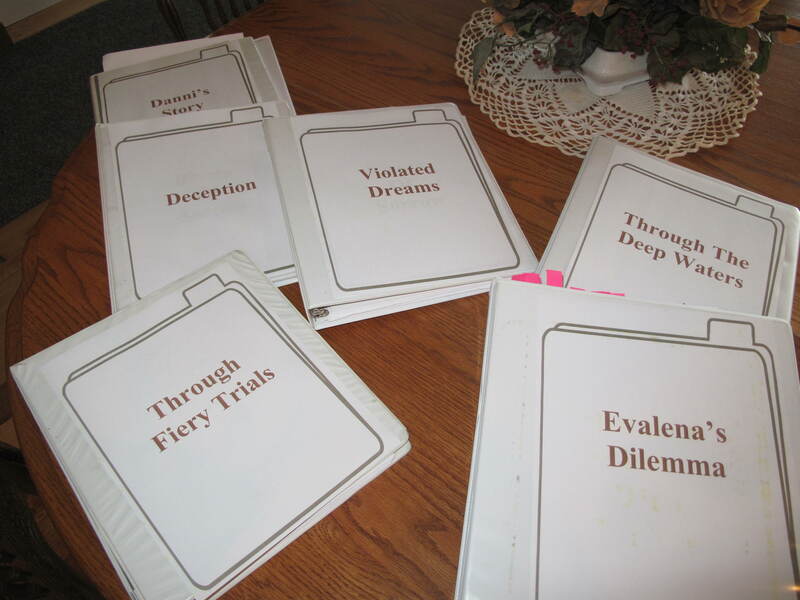 This entry was posted in Writing and tagged Sharon A. Lavy, Writer's Life, writing fiction by Sharon A Lavy. Bookmark the permalink. I am astounded by how many changes in the title you had for one book. Wow. My first kids’ book went from The Key to the Lodge to The Secret in the Hidden Cave. My first YA book went from Echo of Escape to Edge of Escape, not such a big leap. My latest novel was The Rooming House while I worked on it, but it released this week as Sheltered. Next year I hope to find success with The Guardian’s Diary, formerly The Ever Side of the World (and originally Dragonfoot which was too misleading for a Christian novel). You are so right about the title being the number one element of a book. Through the Deep Waters sounds exciting, dangerous, and . . . deep. It’s a wonderful title. Blessings to you and praise to God. Now, if I could just find an agent . . .
I’m writing a memoir – the title hasn’t changed, but the meaning of the title changed when I realized it was deeper than I originally thought. The title is: Tell me what He did. When I first started the memoir 20 years ago, the title was just the question my mom asked after my father’s incestuous visits, “I heard him in your room last night, tell me what he did.” She wrote those things in notebooks. Since I got healed and came to know God, the title also shows the He is God and what He did to help me through the abuse and towards a relationship with Him and healing. Before I met God, I spent years in the occult and He was even there in that. So the title expanded. Not sure I would change the title for it says so much, but then if I get a publisher or an agent with a compelling reason for changing I won’t dig my heels in to hold on to the title. My other book, when I re-write it is non-fiction and the title will change. But not sure how it will yet. My first book only had one title change. I originally called it “Love Bears All Things”, but it wasn’t a title that drew anyone in except me. So now it’s being published under the title “The Prodigal Son Returns” (Love Inspired, May 2013). But I hadn’t expected to change the title – I thought my first choice was perfect 🙂 But as I considered changing it, I realized my thoughts about the story had changed in the many revisions, and the new title focused on the story in a better way. That didn’t keep me from choosing a title for my new work in progress, though. The title gives me something to focus on as I’m writing, and every time I see it, it invokes the feelings and images I want to convey in my writing. It will be interesting to see how far through the process the title survives! My business books are easy to title: an attention-getting phrase followed by an explanatory subtitle. My one mystery started out as “Through the Fog” and I never stopped to revisit it. It probably doesn’t work as well as it could, but I’m leaving it alone. My newest book has a one-word title which has sort of shifted the perspective of the book because I’ve realized that the title was truer than the story details. I’m also keenly aware that my title will be a working title. I’m open to change. I like what you said about your understanding of the story changing and deepening. This is one of the most intriguing aspects of being an author in my mind. We wrote the story. The characters are ours, and yet they are not. They become themselves. Their stories flow from us, yet, like our own life stories, we must grow to understand them. So, yes, my titles go through the same series of changes you detailed as I grow to comprehend what I’ve written and the intertwining of characters and story elements. Isn’t it fun being a writer! A great post. I’m unpublished so I really don’t have any tales to tell. I find it very difficult to come up with a title. I read a book this week and wondered about the title but I did find it. It was the last sentence in the book. Thanks for you input. I’m with you on the need for the perfect title and the toil it takes to find it. As my understanding of the story and the theme evolves, so does my working titke, My current WIP started with MOTHER’S DAY when it centered on a retired, widow who was very unhappily childless. Then it morphed into LADIES IN WAITING when I realized there were three women/girls waiting for the truth of their lives to change. Now it’s FRIENDLY FIRE because the theme of abuse is so much a part of the story. Your title shouldn’t just be married to the subject matter, but also be bound to the way you tell your story. Mister Slaughter isn’t going to be a book about ponies and dolphins and star-crossed lovers. You get a feel from that title right from the get-go, and it prepares you for the horror within. Practical Demonkeeping or Lamb (The Gospel According To Biff, Christ’s Childhood Pal) do not sound like serious novels. You hear those titles, you chuckle, you raise an eyebrow, you get it.